Students with disabilities are presently suspended at much higher rates than other students in school districts across Texas and nationwide. 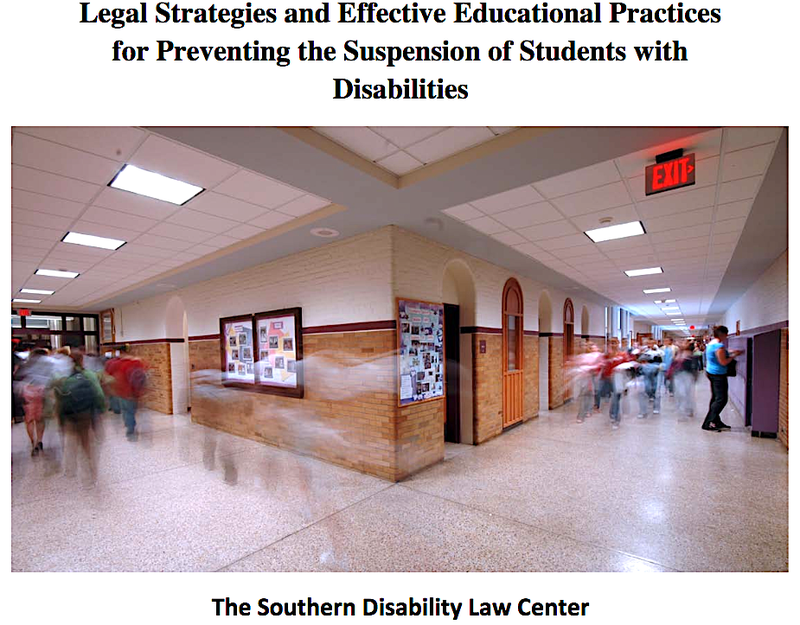 In 2014, Jim Comstock-Galagan, Executive Director of the former Southern Disability Law Center completed a Resource Manual that addresses legal strategies under the Individuals with Disabilities Education Act (IDEA) as well effective educational practices for preventing the suspension of students with disabilities. 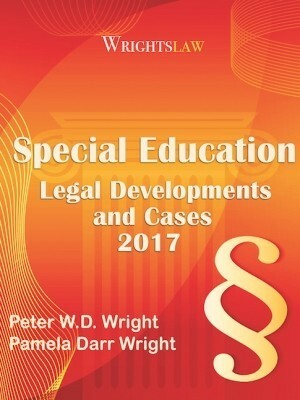 Although there are a few references to Texas’ SPED regulations, the Manual predominately focuses on creative uses of IDEA’s provisions to prevent the suspension of students with disabilities…. and also ways to ensure that appropriate FBA are conducted and effective BIPs are developed\implemented with an emphasis on Positive Behavioral Interventions and Supports (PBIS). A student’s right to a Manifestation Determination Review (MDR), the legal standard for the MDR, the individuals required to make the decision, the student records that must be reviewed in making the decision and strategies for obtaining accurate MDR decisions. 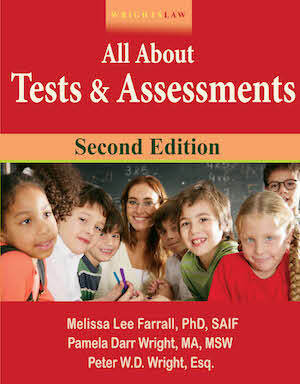 SDLC’s Resource Manual also addresses effective educational practices including detailed discussions of related services; the essential elements of quality Functional Behavioral Assessments (FBAs); and the essential elements of effective Behavior Intervention Plans (BIPs) including the use of PBIS. 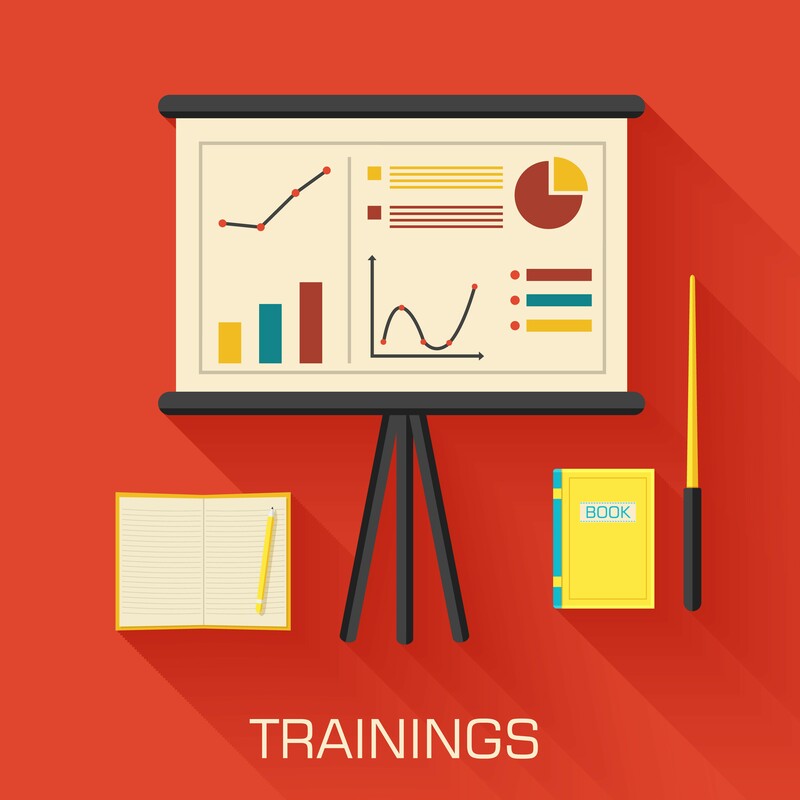 The Manual also includes a number of practical tools called Protocols that can be used as checklists to ensure that related services, FBAs and BIPs include the various criteria and essential elements discussed in the effective educational practices sections of the Manual. 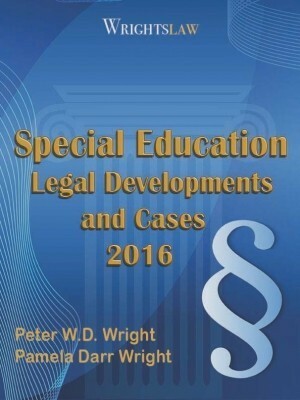 This entry was posted in Advocacy, Behavior / Discipline, Discipline, IDEA 2004 and tagged BIPs, Discipline, FBA, Manifestation Determination, Southern Disability Law Center (SDLC), Suspensions by Wrightslaw. Bookmark the permalink. Please someone help me answer my questions. is okay to leave my now 7 year old daughter in a secluded room for lunch and recess detention without a adult in there twice. second time I went during her detention because I didn’t believe her. she wasn’t lying. she was in there office twirling backwards in there chair no adult in Sight and you can’t see beyond the brick walls. she has since been out of control more and at that time received 19 bus write ups and one written insubordination. the school never got back to me saying they couldn’t go that back into the cameras help !!! My son has an IEP. He was written up 14 times in a period of about 2 months or so of the beginning of the school year. He had 2-3 ISS and 2 OSS. This all took place after his principal and I had a few words a week after school started. For minor infractions he got written up for.Because he was being picked on or bullied by another student or a couple of other students and took up for himself. He would tell the teacher but they said he was tattling, do nothing about it. We did have an IEP meeting they said they could not afford another aid. Little did I know it was in his IEP to have a scribe. When addressing the issue of him being picked on or bullied. One particular teacher said it had to be done by a couple students on one or more occasions. We have since moved. My son has been in residential treatment for over 2 mnths and is just now getting to come home tomorrow. Do you have any advice for this school year???? HELP PLEASE!!! If a student is suspended per OSS and ISS, what are they obligations of the school district to provide the suspended student instructional time. The question is posed whether the suspension involves just OSS, or ISS, or a combination of both? Thank you! 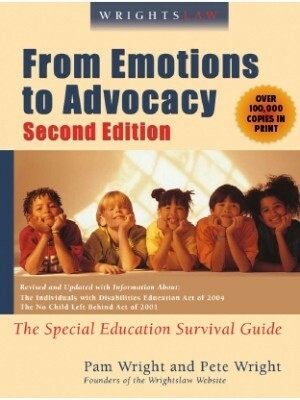 In general if the OSS or ISS results in 10 consecutive, or accumulative days of missed special ed services, the school must provide educational instruction in some location. 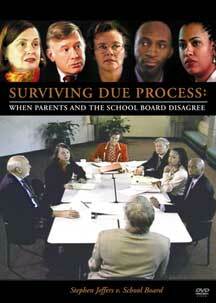 Check this website for resources on the disciplinary rules. 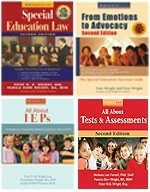 If the student is suspended for behavioral conduct and the school failed to call an emergency IEP/BIP meeting to revise student IEP and BIP, possible request to conduct a FBA when behaviors increased daily for this setting and strategies have failed with no attempt to increase related services, supplementary aids\services, and\or provide other behavioral supports including getting an Adult Support which is noted in the supplementary aids/services of the IEP, how can the suspension be overturned and removed from the child’s school records? 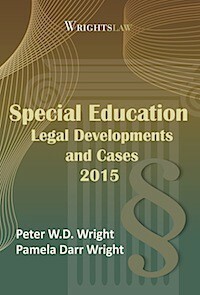 Do the IDEA laws apply to special education students in a non-public school? 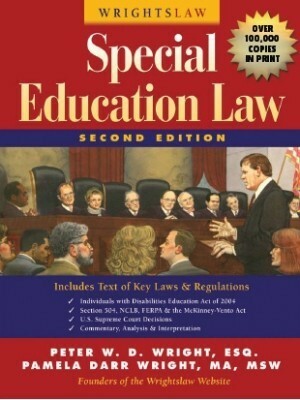 If not, what and where is the law for special ed students in non-public setting? 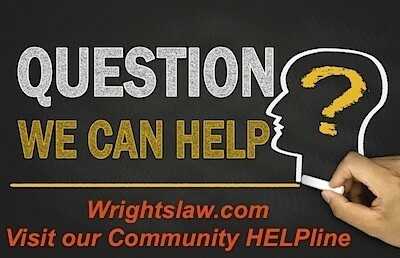 Ronni: Are you asking about children whose parents place them in private schools? 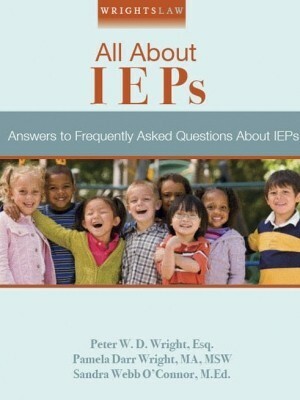 These children are not entitled to IEPs. Section 504 is a civil rights law that prohibits discrimination against individuals with disabilities. Nothing prevents a private school from developing a plan for your daughter that includes the accommodations and/or modifications she needs in her education. It appears you have misunderstood what I am asking. My child has an IEP not a 504. I am a very strong, dedicated advocate for my son as I have nearly wrote his IEP and BIPs due to the inexperience staff of the public school systems and receive much praise. It can be intimidating because I speak the same lingo of the school staff and well versed in IEPs etc. I want to know if IDEA applies to non-public schools when a student is placed there via an IEP team meeting and all have agreed this is the correct placement for the student. I am not familiar with the law as it relates to non-public schools and IDEA. Is it the same or is the law different? Section 300.145 of the IDEA regulations address such placements by public agencies. How does this apply for student’s who only have a 504 plan? Thanks for sharing this valuable resource! !